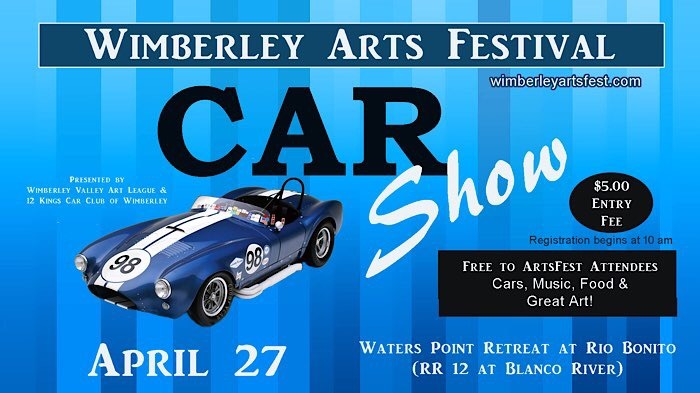 The Wimberley Arts Fest Car Show is April 27th at the Water's Point Retreat in Rio Bonito, 13401 R.R. 12, Wimberley, TX. Entry fee is just $5.00 and registration starts at 10 am. Walk by the river, check out the cars, live music, food and lots of art on display.